Thanks to the New York Public Library Google has many issues of the mid 19th century periodical Journal of Sacred Literature, edited by John Kitto. In the third volume, published in 1849, there is an interesting article called 'The Schools of the Hebrews,' translated from the French original by Dom. Augustine Calmet. 'The Schools of the Hebrews' purports to give an account of Jewish education and academies throughout the ages, and is supplemented by the translator's account of modern Jewish learning societies in Europe (beginning pg. 103). First mentioned is the Chevra Shas. "Every member must read a folio every morning . . . Once in seven years the whole of the Talmud is concluded; when a grand feast is made null and void . . . (See pg. 104 for the interesting account given between my dots ( . . . )). There is much more of interest, but let me just mention one note towards the end (pg. 106): "The fourth association is termed [Chevra Mikra] or Scripture Society . . . The members of the society have a profound knowledge of the Scriptures . . . Since the 'London Society for promoting Christianity amongst the Jews' began to accommodate the Jews abroad with cheap copies of the Old Testament free from all the above commentaries [ie, Rashi, Radak, Ibn Ezra, Abarbanel, Metzudoth, etc.] there is generally to be found in every large town inhabited by Jews in Poland and Russia, a society of young men called Chevrah Tanach, whose object is to read the Bible without any comment; for which purpose these young men have a room for themselves; for the Beth Hamedrash would not be allowed for that purpose. All these young men are sceptical about the Rabbinical oracles, and it is most probable that the present movements amongst the Jews, and the cry for reformation and 'no Rabbinism,' owe their existence, under God, to the London society, in giving free course to the oracles of God amongst the Jews, to whom they were first committed." *Edit: tz"l 1843. MenachemMendel pointed out the following: This is actually from Moses Margoliouth's The Fundamental Principles of Modern Judaism Investigated, pp. 84 ff., which can be seen here (I hope). This was published in 1843. It was taken either directly from there or from the Rev. W. Ayerst's The Jews of the Nineteenth Century, which quoted Margoliouth and was published in 1847. I came across this last year while who knows looking for what. Margoliouth's name came up in the post about the Rambam image the other day. Haggadah of the Times of London, 1840: a civilised response to the Damascus Blood Libel. The background to the Damascus Affair (ie, the 1840 blood libel against Jews that became famous around the world) is or should be well known. If not, click the link. 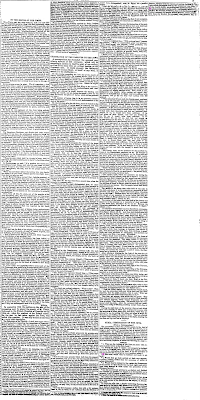 What is most interesting is that in reaction the Times of London printed a translation of virtually the entire Haggadah on page 3 (August 17, 1840 edition) titled "Celebration of the Passover by the Jews." It must be noted that shefoch chamoscha is not mentioned (nor Chad Gadya, the other songs at the end or the declaration of Lshana Habaah be-Yerushalayim). One cannot help but get the impression that it was not mentioned not because the editors of the Times were duped by whomever prepared this translation and account. It was a time of almost comical erudition about all sorts of obscure topics in the mainstream press. Further hostilities are reported between the Zaranik tribe and the forces of the Zaidi Imam Yahya of Sana'. The Zaranik attacked a Zaidi detachment at Mansuria, near Hodeida, and have been plundering caravans trading with Sana'. No further details are offered to suggest where all this fighting was (Yemen, one imagines), nor the identities of the parties to the feud. The newspaper's editor presumes that readers, quite simply, had sufficient education to know. In short, I suspect that the reason why the last hour of the seder is summed up in a paragraph mentioning birchas ha-mazon, but not what can legitimately be seen as a dark moment of the seder (shfoch chamoscha), or the messianic hopes of the Jews (leshana habaah be-Yerushalayim) was because the editor thought it best not to mention it, fearing that such moments would distract from the thesis the paper was trying to present: that what actually happens and what is actualy said by a Pesach seder "repels strongly the barbarous notion that human blood, or blood of any kind, is essential to its celebration." Further reading: 1841 English translation of Effés Dammim: A Series of Conversations at Jerusalem Between a Patriarch of the Greek Church and a Chief Rabbi of the Jews, Concerning the Malicious Charge against the Jews of using Christian Blood by the maskil Rival (Yitzchak Baer Levinsohn), author of Teudah Be-yisrael. Appended to this particular book is a must-read: extracts from "Reuchlin's defense of the Talmud," pp. 201-208. 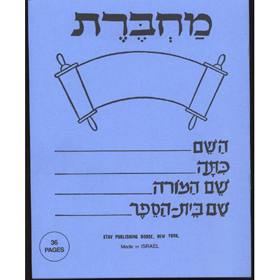 (Like the image above; sorry, I can't locate a picture of the older ones with the Rambam image). The point is, this is the image you know. But where is it from? I certainly would not have imagined it to be very old, but considering the Jewish Encyclopedia, my guess was that it is from the 19th century. In fact, it is from the 18th. I could have learned this by visiting the Yale Maimonides 800th yahrzeit exhibit (or site), but I came across the info in a more interesting way. Apparently this image was 'discovered' in the mid 19th century by Italian scholar Yashar (R. Isacco Samuele Reggio, 1784-1855). Reggio found the following portrait in a 34-volume encylopedic work called ' Thesaurus antiquitatum sacrarum' (1744-69). "I know you [ie, Rev. Dr. J. Horlock] are a profound admirer of that Hebrew sage. I think you will be pleased, therefore, with the accompanying miniature portrait of him. You may have seen it before, for I printed it as a heading to the prospectus of the Philo-Hebraic Society. If not, here it is. I do not think that anybody in England ever saw it before I introduced it. You will, however, wonder whether it is a real likeness, or merely a fictitious one. I will, therefore, give you all the information I possess about it, and judge for yourself. The famous Italian-Hebrew Scholar, Reggio, discovered it first in that masterpiece of a work, "Thesaurus Antiquitatum," published at Venice, by Blaseus Ugolinus. He sent a sketch of his discovery to his friend, Herr Solomon Stern, of Berlin. The latter was naturally anxious to know whether the representation was real or imaginary. Reggio, therefore, sent the following explanation; " In the celebrated work, ' Thesaurus Antiquitatum Sacrarum Blasie Ugolini, Venetiis, 1744,' in the first volume, p. 384, is found the likeness of Maimonides, which the author [of ' Thesaurus Antiquitatum'] says was taken, ' ex-antiqua tabula,' without, however, stating more fully and circumstantially how he came to the possession of this tabula, where it existed, and if any one bore testimony to the authenticity of the likeness. However, as Ugolinus is known as an industrious, honourable man, acquainted with his subject, and who cannot easily be suspected of fraud, there is nothing against assuming the probability that at the publication of his work he had really before him such a tabula." "Herr Solomon Stern printed on one sheet of paper a few copies of the above miniature, accompanied by a copy of Reggio's letter. I was fortunate enough to get a copy of that document, sent to me by a kind friend from Berlin, who knows my partiality for such literary curiosities." So there you have it. The image is certainly from 1744, but the editor of the Thesaurus antiquitatum sacrarum claimed that it was copied from an old image. Margoliouth must be believed that it was not common in England in 1847, even if it isn't literally true that it was he who 'brought' it to England - not that it needn't be. By 1906 it must have been widespread, thus it seems to have originated in the mid 18th century, been 'discovered' in the mid 19th by Reggio, and disseminated from there. "...did Dr. A. Benisch acknowledge publicly that he was indebted to me for Maimonides' likeness, as well as for Reggio's letter ? No, no. I am a Christian Jew ; it would be an acknowledgment that converted Jews have been misrepresented, as to their characters and principles. Besides, what would the Jews, at large, say? " Dr. Benisch was actually applying for information on Jewish literature to a M'shumad (an apostate), and we have all along maintained that converted Jews know nothing about our learned men, and that it is only the ignorant who are entrapped in the conversion nets." I can understand all this; but common justice asks, " Is it right?"